R.A.F., S.A.A.F. and Kenyan Aux A.F. 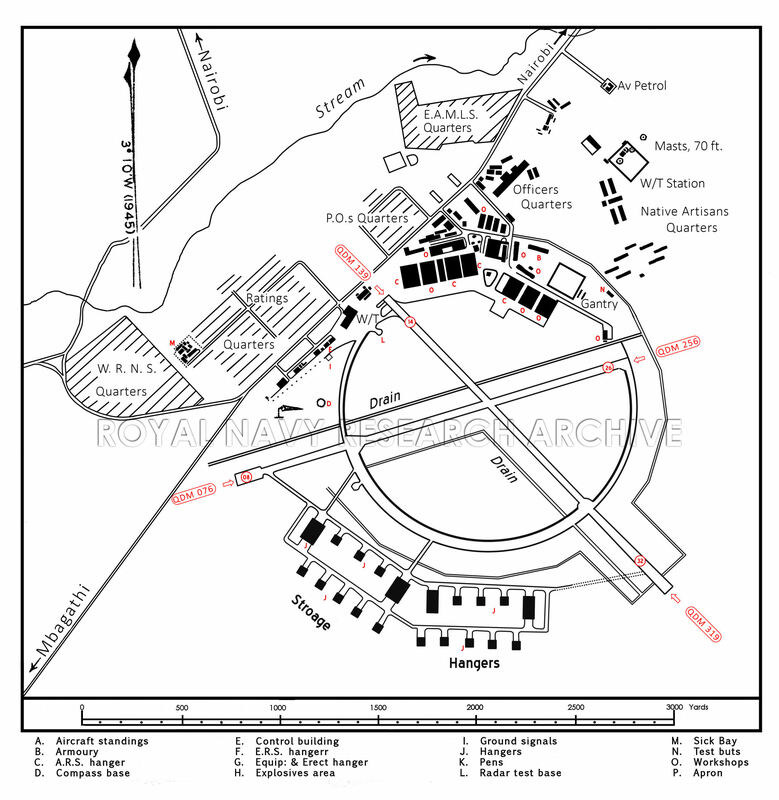 operational on site from 01 August 940. 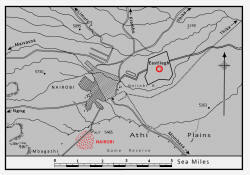 The airfield, at the western end of the high Athi Plains, lies one mile S. of the outskirts of Nairobi, the capital of Kenya, and about 220 miles inland from the E. coast of Africa. Mombasa lies 240 miles SE. and Lake Victoria 165 miles W.
R.A.F. 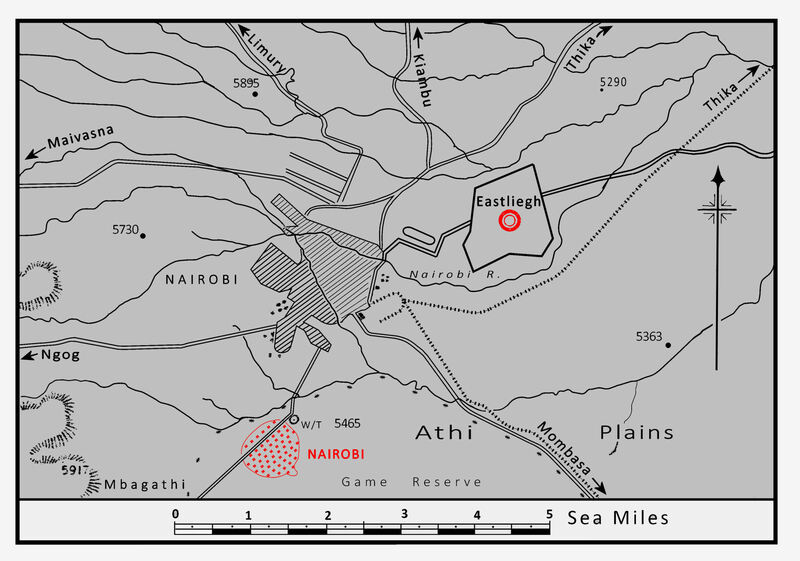 airfield "Eastleigh" lies 4 miles NW. The main railway line, tinning NW. from Mombasa. passes 3 miles E. of the airfield and forks at Nairobi. one branch running NE. and the other NNW. The airfield lies ob the northern edge of a game reserve. Good toad to Nairobi, and thence road or rail to Kilindini harbour, Mombasa. There is an R.N. siding equipped with a 10-tone gantry 3/4 (R) N. of the airfield; the train journey from Mombasa rakes from 36 to 72 hours for goods, and 17 hours for passenger traffic. Kilindini harbour gas 5 deepwater berths served by railway tracks. There are several 3 and 5 ton mobile eclectic cranes, one 10-ton crane and a 60-ton floating crane available. Control building on W. side of the landing area, outside the perimeter track..
Low flying id strictly prohibited over the Game Reserve adjacent S. of the airfield. 08/26 QDM. 076°/256° .... 1400 X 25 yds. 14/52 QDM. 139°/319° .... 1400 X 25 yds. Note: Due to the altitude of the airfield the runways provide only the equivalent of a run of 1150 yds at M.S.L. 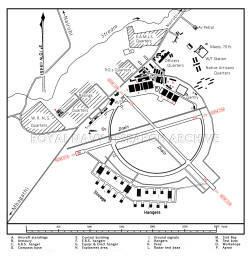 40'circcular perimeter track, widened to 115' in the S. sector to provide an aircraft dispersal area. Windsock on the W. side of the landing area, outside the perimeter track..
None. R.A.F,. "Eastleigh" has M/F D/F, M/F beacon and M/F responder beacon. One channel open to RNAS Mackinnon Road, Tanga and Port Riertz. Armament store, armament shop, and ammunition store in stone building. One, concrete, diameter 6' 6"
The southern part of the perimeter track has been widened for dispersal purposes. Storage hangar area S. of the landing area. On S. side of airfield. Some of the hangars, originally provided for the station's function of reserve a/c storage were loaned to civil and military authorities, this arrangement was subject to 12 months notice. Sick bay in camp on W. side of airfield. 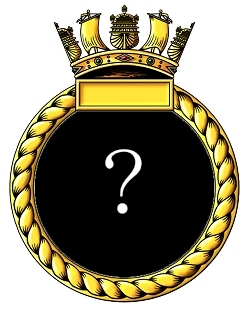 Accommodating for 6 officers, 40 ratings, 10 W.R.N.S. and 25 natives. Rainy seasons: March - June and October - November. Low cloud over the mountains is frequent during the rainy season. .
2 storage tanks, capacity 11.000 gallons each. 2 storage tanks, one of 1.000 gallons and one of 500 gallons capacity. Available for M.G. and Cannon with 25 yard range. 3 A.R.S. hangars (180' x 110'), 1 American A.R.S. hangar (180' x 110'). 10 ton gantry with two stone buttress supporting walls. A detachment from RNAS Tanga operated at Nairobi between May and November 1942. Detachment from RN Air Sect. Port Reitz 0perated at Nairobi 22.06.43 - 22.11.43 equipped with Albacore, Swordfish & Walrus. Moved here from RNARY Fayid 27.09.42 to re-equip with Wildcat IVs. 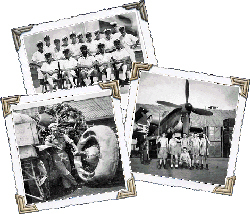 Disbanded at Nairobi 10.01.43.